Leia Hart, MS offers various energy healing practices which can assist clients to heal the wounds and memories of the past, shifting from merely surviving to a thriving vibrant life! Shamanic Healing is an effective adjunct to medical and/or psychological healing. Shamanic Healing should not replace consultation with a doctor or psychologist. Possible symptoms of power loss include chronic illness, chronic depression, chronic misfortune, or suicidal tendencies. The shamanic healer retrieves a power animal, also known as a guardian spirit, restoring the client's personal power to maintain physical integrity and protection. Possible symptoms of misplaced energy or overshadowing may include feeling blocked, personality changes, addictive behavior, localized pain or illness such as neck problems, stomach disorders, or cancer. When a person experiences soul loss or power loss an opening may be created in the life force. The shamanic healer compassionately removes energies that may have entered the opening, thus preparing the client for a power retrieval or a soul retrieval. Possible symptoms for soul loss may include addictive behavior, chronic illness, feeling fragmented, disconnected, chronic depression, feeling "I've never been the same since..."
The shamanic healer journeys on behalf of the client to retrieve lost soul essence and restore the integrity of the life force. After a soul retrieval, people may experience more vitality, wholeness, and well-being. Frequently, people report that it is easier to access the talents and creativity they were born with. Once the soul essence has been retrieved, the client's task is to reintegrate the soul essence into daily life. 'Homework' will be offered to guide the client to a deeper knowing of their True Self. Clients may wish to learn to journey to their soul parts to experience the gifts and talents that were brought back, and to remember how to live life as a creative process, full of health, peace and joy. Family and Systemic constellations reveal and transform embedded patterns that are otherwise very challenging to understand and change. Intellectually, we may recognize patterns of negative behaviors and destructive relationships, but in practice it can be extremely difficult to free ourselves. 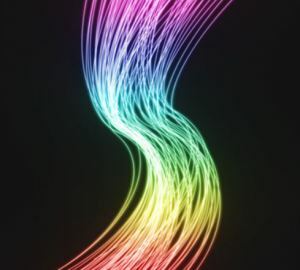 Through the gentle, yet powerful process of Family Constellations, we enter into connection with our ancestors through the energetic ‘Knowing Field.’ Our entanglements within our ancestral family are gently and respectfully uncovered and healed through time. A blocked chakra can lead to a lack of energy, depression, or an off-centered feeling. With open and flowing chakras, a person may feel vibrant, radiant, and healthy. Working with the energy of light, sound, rocks, or minerals, the shamanic healer may be able to restore the chakras and the client to full vitality. Healing with Spiritual Light is a shamanic healing method in which the shamanic healer accesses an altered state that allows connection with their own divine light energy. By this process, called transfiguration, the healer stimulates the healing light energy in all living forms around them. It is a method to stimulate the light that is within all of us. 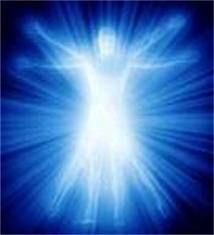 Healing with Spiritual Light may speed up the healing of any symptoms the client is experiencing. A House Blessing is a powerful ceremony for a new home. In addition, a House Healing and Blessing may be beneficial where you live or work if there is a lingering energy as a result of a conflict, illness, or death. Sometimes if one experiences an "uneasy feeling" in the home, it is beneficial to clear the uncomfortable house energy. This is a powerful, transformative method for problem solving and well-being. The client learns to journey into non-ordinary reality to get direct spiritual guidance. The client learns how to communicate with spirit helpers who offer healing, wisdom, and advice. This particular healing intention brings participants into alignment and harmony with the physical, emotional, and spiritual for themselves and the community. A despacho is an offering to the mountains, Mother Earth, the elements and the spirits of nature. As the despacho burns, the energy of the prayers is released to the Universe, creating a healing. Therapeutic Touch is a technique in which the hands are used to direct human energy for healing purposes. It can be used to balance and promote the flow of human energy. Hospital research has shown that it is useful in reducing pain, improving wound healing, aiding relaxation, and easing the dying process. The shamanic healer not only helps the living, but also assists those in transition. The shamanic healer supports the client, lessening the fear of the dying process. The client is prepared for this rite of passage by accessing spiritual guidance to ease the transition, moving smoothly with grace and wisdom, an opportunity for awakening. The great death rites practiced by the shamanic traditions assist the individual and family to explore the psychological and emotional closure needed. They provide experiences to bring reconciliation and healing both to the loved ones and to the person dying. If there has been a traumatic death, such as a car accident, the soul may need assistance to cross over to the light. The shamanic healer acts as psycho pomp, a guide who escorts souls to the afterlife where they can evolve and continue their soul's journey. Leia is an ordained Minister of the Circle of the Sacred Earth Church and is thereby authorized to perform weddings, funerals and other rites traditionally or legally requiring a cleric﻿. There are many times when it is not necessary to be in the presence of the healer for the work to be effective. Often we are called upon to perform a healing for clients who cannot be in Eugene, OR, perform healings for those who are in a hospital far away, or provide guidance by "divining" information for a client. When we do distance healing, we have an extended phone conversation with the client, then we do the work while the client is at home or some other safe place. Following the work, we make a phone call to the client and share all that happened in the journey along with any spiritual guidance that was retrieved for the client. We are also able to work remotely with skype. Contact Leia for more information. 20 Minute Phone Consultation to answer any questions about the process. 2 1/2 hours ﻿for your Healing Session, in in person, by phone, facetime or skype. Your Healing Session may include counseling, soul retrieval, extraction, power animal retrieval, , ancestral healing, sound healing, chakra balancing, compassionate depossession, curse unraveling, family or systemic constellation, healing ancestral patterns, and/or other forms of shamanic healing based on the individual’s needs. At the end of your Healing Session, homework suggestions will be offered to deepen the integration of the healing and to support your continued health in body, mind and spirit. ﻿Suggested Fee for 3 hours of Healing Services: $234. Sliding scale ($216 - $198) is available as needed. Please contact Leia if you need to discuss other arrangements. Contact Leia to schedule a free consultation or a healing session.